This is the certificate, sometimes called a helicopter commercial pilot license, you will need if your goal is to have a helicopter flying career and become a professional commercial helicopter pilot. The FAR 141 course requires a minimum of 115 hours, of which a minimum of 30 hours will be with an instructor, and 30 hours ground instruction to complete the helicopter commercial pilot certificate. Additional required flight hours can be completed on your own or with passengers with whom you can share costs. Work toward an instrument rating, turbine transition and Robinson R44 transitions can be incorporated in the total required time for a commercial certificate as well. Students training 3-5 days per week can typically complete the program in 8-10 weeks. Commercial helicopter training is offered in single-engine piston helicopters. The training for each certificate is designed to increase pilot proficiency in complex airspace around large metropolitan cities, as well as the surrounding remote environment, challenging students with piloting techniques that require a high degree of precision and skill, elevation and temperature variations, and exposure to mountains, riverbeds and deserts. Commercial pilots are professionals who are able to earn money for their piloting services’ flying for hire. Commercial Pilot training at Group 3 Aviation provides an invaluable learning experience for the career pilot. Enrolling pilots must possess at least an FAA private pilot certificate prior to beginning the flight training portion of this course and hold at least an FAA issued third class medical certificate. *The 62.5 flight hours of Solo/PIC is part of the approved course hours for pilots that have completed the Part 141 Instrument Rating in rotorcraft/helicopter. Includes Night and Cross Country flights. 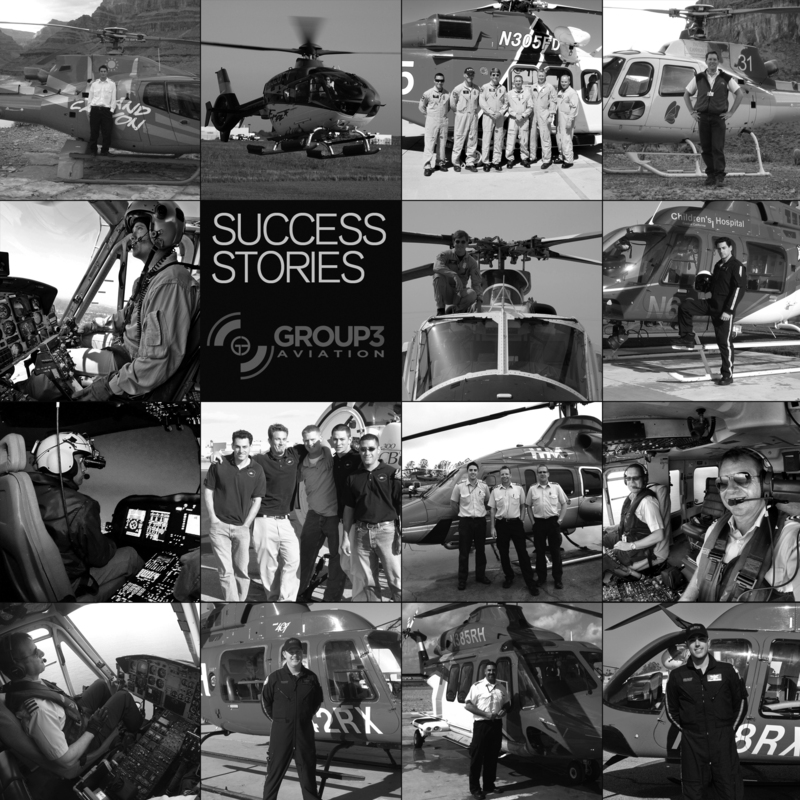 Group 3 Aviation equips each helicopter with David Clark headsets at no extra cost. However, we recommend pilots purchase their own headset when learning to fly helicopters for personal use and comfort. We recommend either Bose or David Clark headsets for our helicopters.